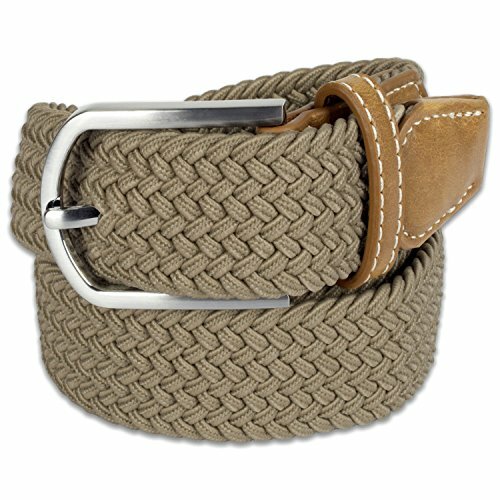 E-Living Store woven belts will keep you comfortable while keeping your pants in place all day long. Made of quality stretch material with heavyduty buckles. Braid design allows you to choose a relaxed or snug fit by adjusting the buckle to close wherever you prefer. XL = Waist Size 42-44 / Belt Length including buckle = 48.25"
32mm (1.26 inch) wide belt material can be stretched over 50% its original length for a comfortable waist fit, even after a full meal! If you have any questions about this product by E-Living Store, contact us by completing and submitting the form below. If you are looking for a specif part number, please include it with your message.